Home > Blog > Cover story to mend a broken heart! Cover story to mend a broken heart! 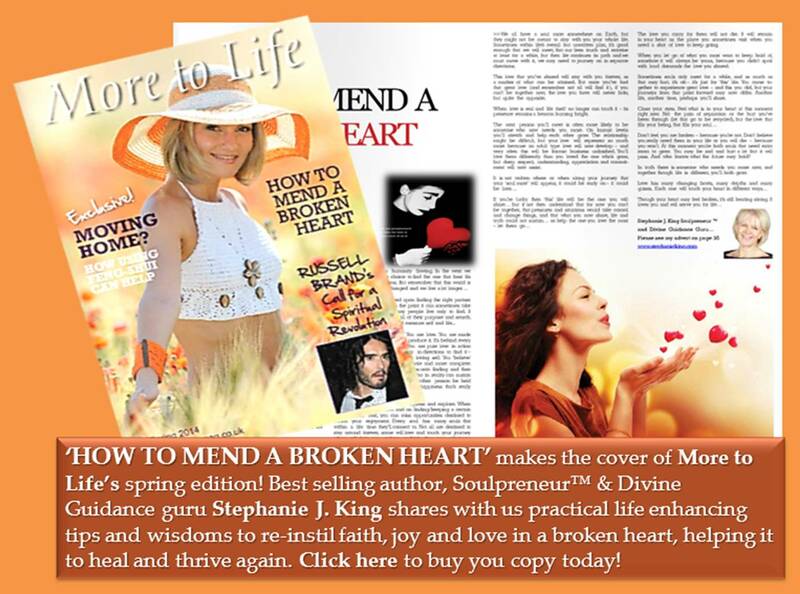 ‘HOW TO MEND A BROKEN HEART’ makes the cover of More to Life’s spring edition! Best selling author, Soulpreneurâ„¢ & Divine Guidance guru Stephanie J. King shares with us practical, life enhancing tips and wisdoms to re-instil faith, joy and love in a broken heart, helping it to heal and thrive again. Click here to find out more and buy you copy today!